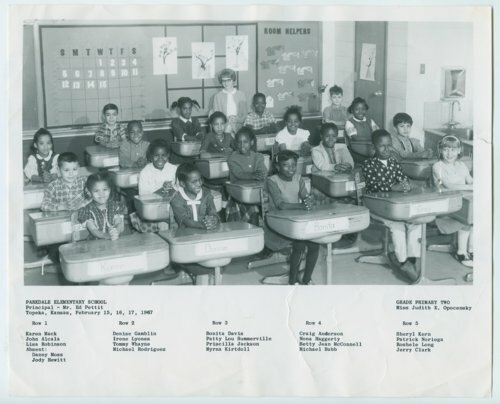 A photograph of second grade students at Parkdale Elementary School in Topeka, Kansas. John Alcala is in row one. Judith E. Opocensky is the teacher and Ed Pettit is listed as principal.